RUSH: (interruption) Why are you surprised? 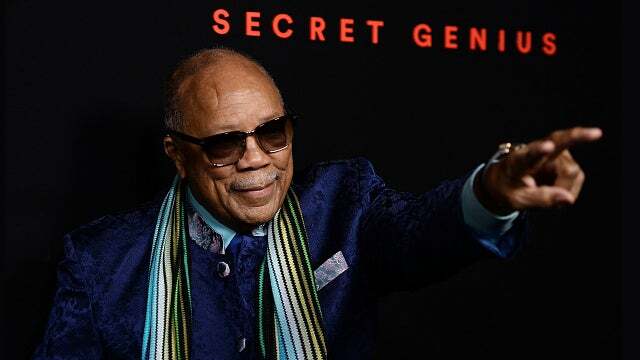 (interruption) Do you think Quincy Jones is making it up? (interruption) Well, he’s getting… (interruption) Snerdley can’t believe that Quincy Jones is admitting to all this stuff that’s happened that he knows about, like Richard Pryor hooking up with Marlon Brando, and that Quincy Jones himself once dated Ivanka, and that… (interruption) “Michael Jackson stealing music from Donna Summer.” Look, I think he’s known all this stuff for all of this time, and decides he’s gonna unload it. Marlon Brando gave Larry King a big wet kiss when King interviewed him over there at his house in Tahiti. Remember that? (interruption) That… (interruption) Why should any of this surprise you? (interruption) Marvin Gaye! Marlon Brando and Marvin Gaye. Why would anything, particularly…? (snorts) Don’t make me be the one to speak the obvious here. Why would any of this kind of behavior in that community, in that world, surprise you?